Spotlight Who is T.Dining's Most Inventive Chef? This Spanish chef fell in love with the Philippines. He has made it his mission to reveal the gastronomic soul of the country, pushing it into the limelight both here and abroad. 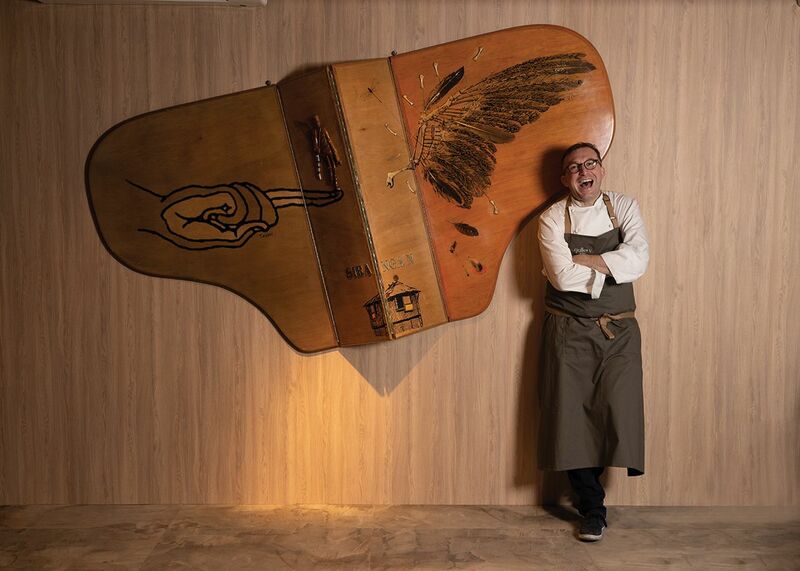 Having had the opportunity to work at some of the world’s most renowned restaurants including elBulli, Arzak, Mugaritz, and El Cellar de Can Roca has honed the chef José Luis “Chele” González’s talents to a stellar level. His adventurous spirit brought him to the Philippines, where he immediately fell in love with its unique culture— something that captured the Spanish chef’s imagination, and ultimately led him to stay here and continue sharing his inspired gastronomic journey. Briefly, he rolled his sleeves up in the kitchens of some of the Philippines’ best hotels until he finally established his own culinary playground, Gallery VASK, in Bonifacio Global City. Thanks to his cooking prowess and creativity, Gallery VASK earnt prestigious awards, locally and globally. In addition, Chele also helms Enye, a Spanish restaurant in a luxurious resort in Cebu that ingeniously marries local ingredients with foreign execution to bring a unique mélange of traditional and modern Spanish cuisine to the table. His philosophy now finds its home in Gallery by Chele, an evolution of Gallery VASK that still echoes the principles of innovation, creativity, and respect for Filipino flavours, but in a more receptive setting. This modern restaurant serves essentialist cuisine that weaves cross- cultural culinary breakthroughs into its DNA. Despite having so much on his plate, he has undeniably succeeded in revealing the gastronomic soul of the Philippines, pushing it into the limelight, both here and abroad.